It becomes the home delivery shipment. 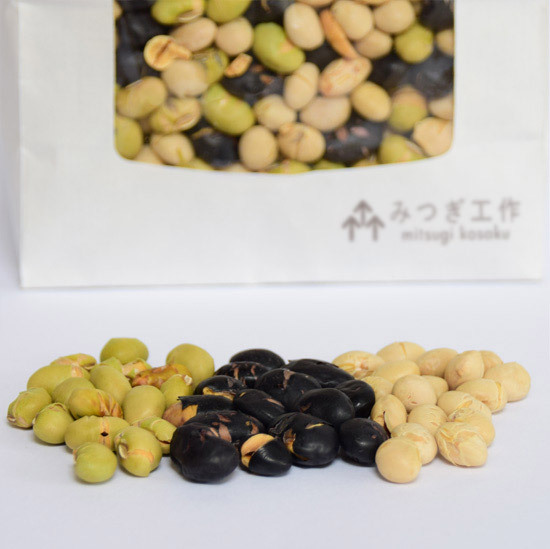 Use of discerning black soybeans from Hokkaido. 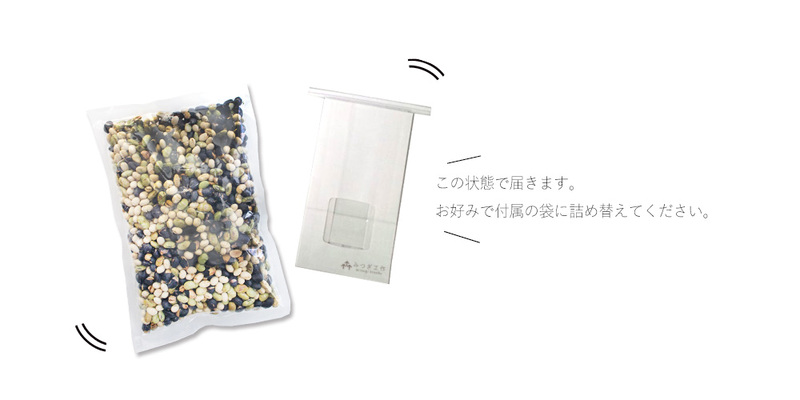 It is "just" の roasting soybean. 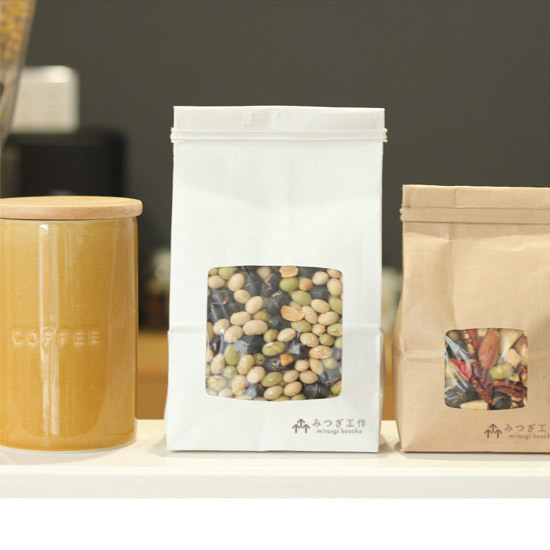 I mix three kinds of pure domestic production of a 100% domestic soybean, the blue soybean from Akita a black soybean, a white soybean from Hokkaido from Kyushu. It is additive-free and is eaten by no coloration in peace! It is recommended for と, a child. In addition, a lot of people falling into the nutrient, low sugar, a rich flavor are just very much up-and-coming "snacks of adult". Because I am good at nourishment balance, it is recommended in a weight-watching snack. Is it image collapse? ? The voice series that are surprising in a good-quality flavor "thick indulgently"
The point that we want to recommend in particular this time is the "taste". As for the crunchy comfortable texture and the flavor thick indulgently, some says that it is surprising from the most of the person who ate. Roasting soybeans not to be usually used to eating very much. However, do you not image it with "a dull thing" without permission? In addition, each black, white, three kinds of blue has an exquisitely different flavor. You close your eyes, and please eat. It may be said that you taste is whetted evidence if I can guess three kinds of flavors right precisely. When "soybeans are meat of the field," on earth is it ...? ? May there be many people who have heard the word, "soybeans are meat of the field?" Then why is it? Who? I will be said like that how long. It was an opportunity that a soybean was exhibited at Vienna World Exposition of 1885 as "farm products of Japan" as for it. In Europe at the time, securing of food with the increase of the population has begun to be brought into question. Therefore when it is nutritive value as nutritive value is equal to meat high-quality highly at the time of surprise, the German attendant whom I begin a soybean and saw at the time is shocked by height of the nutritive value, and "dai-zu is meat of the field!" It is said having written it down beginning まりだと と. 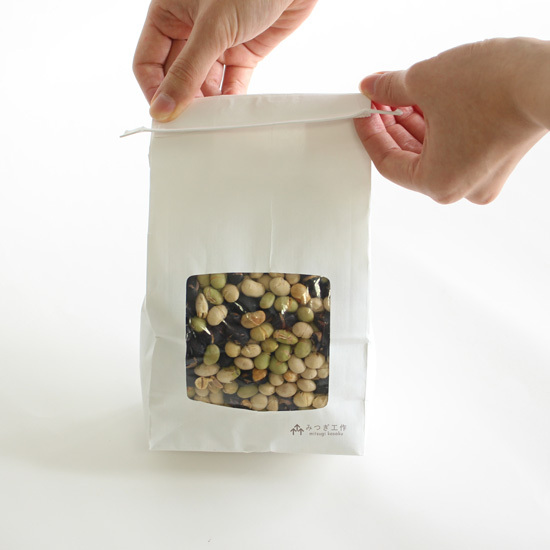 Above all, "the protein" which is included a lot in meat becomes the main nutrient of the soybean. The protein is said to be the most important nutrient in making the body of the person, and protein occupies 20% that there is many it next to water occupying 70% of human body, and, among all the solid bodies except the water, protein carries more than 60% really. 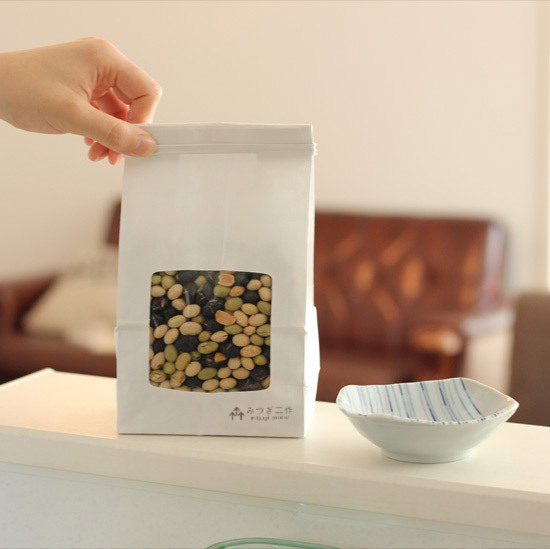 Judging from the fact that a Japanese in the Edo era when there was so-called "plain food" mainly on the soybean including miso, the soy sauce in the pivot of the meal walks as for several thousand kilos every day, and moved, is the nutritive value of the soybean not the place that can nod? It is a word to mean the longevity method that reviews a modern meal to diversify to be macrobiotic, and was brought back to the origin called = "life" "eating". In late years I am practiced among particularly overseas celebrities widely by the thought and effect. "Beauty" It may be said that is a method to grant を "neatly from the inside" that is the common wish of を many people demanding it; carry. Above all, it is a way to replace meat with a soybean that many people practice as standard. 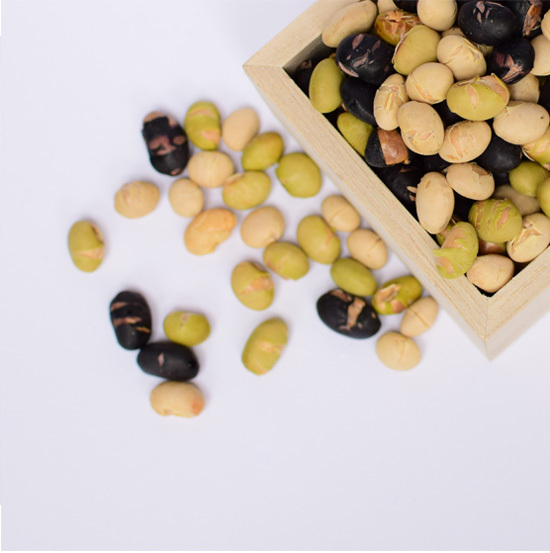 Famous isoflavone prepares enteral Flora as a representative nutrient included in the soybean, and "the unsaturated fatty acid" which is included a lot in a soybean cleans it in a body. Besides, in nutritive value equal to meat, I greatly take the role of the physical condition maintenance. A Japanese went commonly from ancient times; is macrobiotic. It may be good to practice the care of the body which there became much of the uneasiness by westernizeing food culture by returning to the origin. ● This product cannot choose "C.O.D." 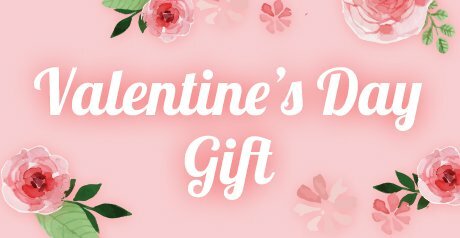 for payment for an email service free shipping product to say. 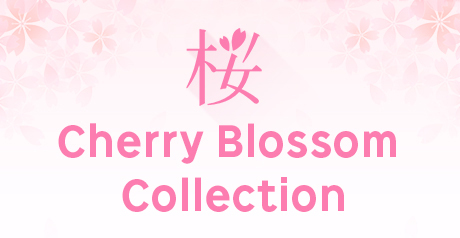 Collect on delivery fee 315 yen + postage 540 yen is added to the person wanting "C.O.D." separately to become "the home delivery". ● The cancellation of the returned goods by circumstances and the order from visitor hopes that you can understand what you cannot accept basically.